ACV Online Bosses Coming To You This Weekend! 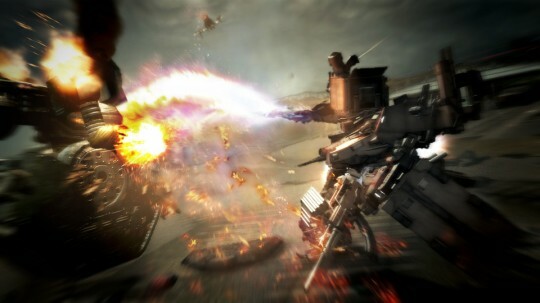 It seems that the Armored Core community’s outcries have been heard, somewhat, as the massive online-only bosses have finally been scheduled to be unleashed outside of Armored Core V’s Japanese servers. DLC packs are now available as well, though they’re just the packs that came with the pre-orders. Though these recent developments are highly encouraging, we still don’t have the long-awaited balance patches, so please continue the effort on the Namco Bandai support forum. Now to whet your appetites for this weekend, I’ll leave you with this video of one of the bosses in action. *Image credit to whoever took it. Let us know on the comments so we can acknowledge you. Thanks! A recent surge of creativity has risen within the ACV world, this time with regards to the emblems that the ACs themselves carry. And again, it’s the Japanese who are leading the way. It’s pretty amazing what can be done with a simple manipulation of the basic shapes available with the engine. Not to be outdone, RR’s been up to some pretty good stuff too. Check them out after the jump. Despite Armored Core 5’s focus on team gameplay, the duel between 2 pilots still remains the “Classic” way to play Armored Core, holding true for all of the game’s incarnations. GodlyPerfection has uploaded what seems to be a duel between two, top ranked JPN players in a best of three fight to the death. An operator oversees the fight and records the video. The uploader notes that you do not see the players go through Scan Mode due to the recording. True enough, this ACV video reminds us that the dueling spirit in Armored Core is not dead and has lived on. It appears that Namco Bandai’s promotion of the English release of Armored Core V has gone into full swing with the debut of the official English website, http://armoredcore-v.com/, and the trailer above. Longtime fans of the series however aren’t too pleased with the marketing direction, specifically the music choice for this campaign. But it’s understandable that they’re trying to lure in a new generation of players. Let’s just wait and see how this is all received when the English version comes out on March 20, 2012. Armored Core V Out in Japan! In case you haven’t heard: Armored Core V has been out in Japan since yesterday. I don’t have a link right now, but I’ve read that it’s been reviewed very favorably by Japanese gaming magazines Famitsu (34/40) and Dengeki Playstation (85/100). But more importantly it’s been received even more enthusiastically by the fans. After playing the demo, I’d say it does live up to the 2-year hype. If you’re not yet convinced, you ought to watch the video above featuring 5-on-5 online multiplayer action from the full game. For those eager enough to jump straight into the Japanese version, you can check out some of the guides generously prepared by our friends at ACU. 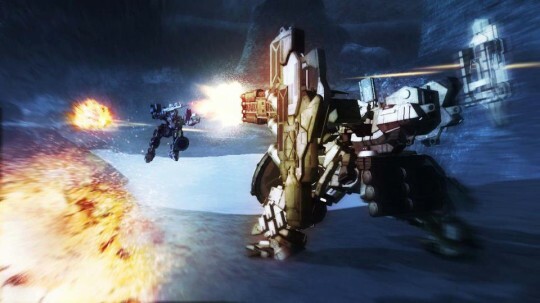 Head over to the forums for more up-to-date Armored Core V news and discussion. And here’s a preview of the English release coming out on March 20, 2012. The official Armored Core V site has been updated with a new single player section as well as our regular dose of new screenshots, which you’ll also find on the Armored Core FB page. 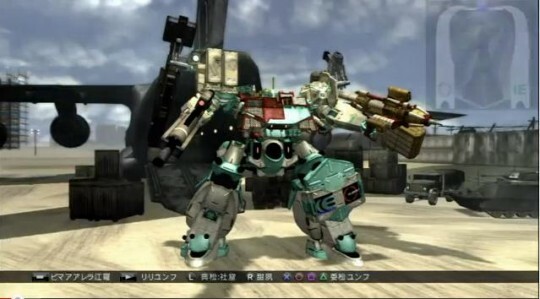 In other news, Mecha Damashii, through 4Gamer, reports that TypeD No.5, the lovable big red mech we’ve all seen in the promotions, is but one of many special bosses for teams to tackle in Armored Core V’s extra missions. Sorry about the comma abuse. Blades and giant robots always seem to go hand in hand (despite the probable impracticality), and Armored Core V is no exception in the hyperbolic treatment of this fan-favorite cliché.